What sweeter taste can there be than the taste of grace? "I can't help but wonder what might have been?" Most of us have thought this. We may have wondered this question to ourselves. We may have voiced it to friend or counselor. A gloomy, cold, and dreary winter's day may have prompted the melancholy that got us thinking of the question. We may have been looking at someone's carefully filtered highlight reel of Facebook® posts and compared it to the mundane daily realities of our unfiltered life. We may have even heard the name of an old flame and begun to wonder about the choices we made. The evil one has all sorts of ways of making us second guess our choices while creating dissatisfaction and planting a seed of temptation in our hearts. Yet for most of us, this question about "what might have been" is a first world question. 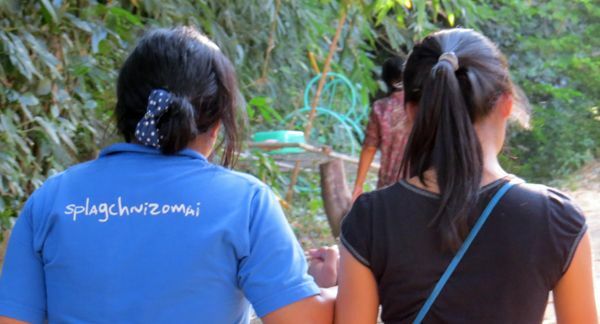 This past November, I sat in an outdoor chapel on a small seminary campus in northern Thailand in conversation with four remarkable young women. As I look back at that conversation in November, the "what might have been" question cut far deeper than first world melancholy. Where would these four, talented, very bright, and remarkably good young women be without Jesus and those who serve others because of his grace? "What might have been" if someone in each of their lives hadn't said yes to an opportunity to share the grace of Jesus? Two of the young women were my daughters in the faith. They are sisters. Karen is the oldest. Melody is the younger sister and the second of three children. They are Chinese. They come from a small village in southern China. When Karen was eight, she began to raise her six year old sister, Melody, and their four year old brother. They spent most of their school age years alone in an old house without the normal amenities we consider necessities. I met Melody four years previously on a last minute mission trip to Thailand. She introduced me to Karen over Skype. After a year of reading the Bible together, Karen confessed Jesus and was baptized as my wife and I watched online from half a world away. Melody had confessed Christ and was baptized just a few days before our conversation in the outdoor chapel. Melody had just graduated from the university nearby. Karen was about to graduate with her MBA. I can't bear to ask the "what might have been" question about my decision to go on that mission trip to Thailand. That one visit changed everything for all of us. When the Holy Spirit knocks on the door of your heart, you don't want to be left with the question, "What might have been?" One of the other young women was Annie. Annie is Thai. She has worked with Compassion International for several years. She loves Jesus. She loves children. She loves her job with Compassion. Yet for several years, she and her husband could not have a baby of their own. On a visit to Thailand last January, Annie's church group had a housewarming party where Annie and her husband dedicated their new home to the Lord. I had prayed a prayer of blessing over the house. Then I prayed a private prayer over Annie to be able to have a child. As we sat in the outdoor chapel ten months later, Annie was now expecting her first child. Annie was in charge of our visit to different families from the Karenni ethnic group in Thailand. Each of these families we visited that day had their lives dramatically changed by Compassion International's different programs — Child Survival Program, Child Sponsorship Program, and Leadership Development Program. The fourth young lady in our conversation was named Jinda. 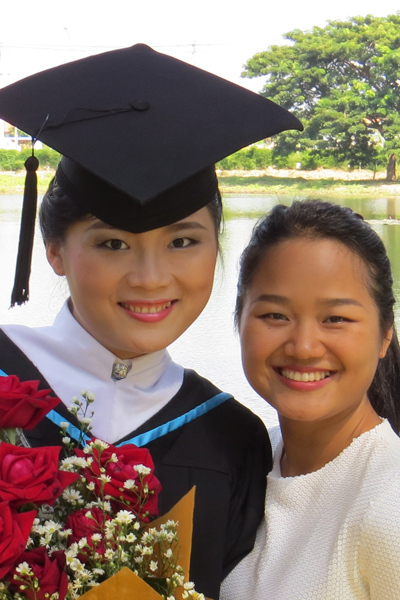 She grew up in a loving Karenni family of believers away from any major town. She was chosen as a young child by a church youth group who sponsored her for several years with Compassion. Then when the youth group dropped their support, several different individuals sponsored her over the years. Jinda turned out to be an outstanding student. 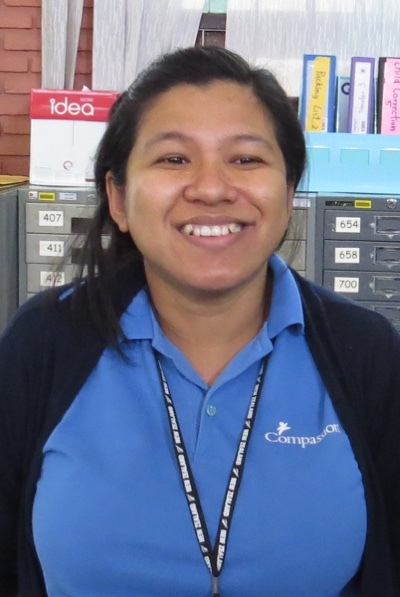 Through the Leadership Develop Program with Compassion, Jinda was given the opportunity to go to a Bible college in Thailand and then to a seminary in the Philippines. 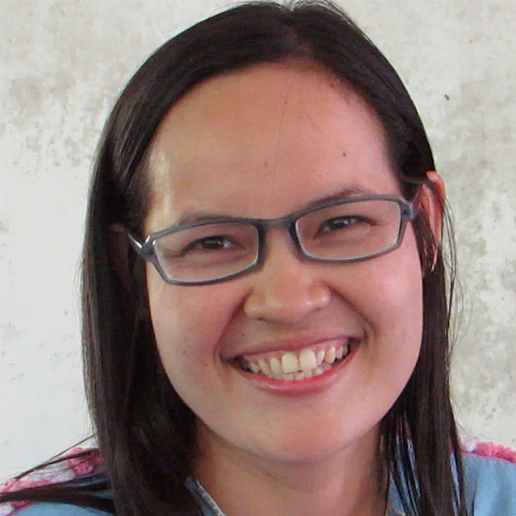 Jinda is now on the faculty of the Bible college teaching new Karenni students and preparing them to lead. As we talked, the young ladies also wanted to know about her upcoming wedding back in the village where she grew up. Jinda is one of those remarkable blessings that come into your life and touch your heart. She is soft spoken, thoughtful, smiles easily, loves Jesus deeply, and could carry on our conversation in English, Thai, and Karen all at the same time. Each of these young women's lives were dramatically changed because a believer in Jesus was faced with a question about going on a mission trip, sponsoring a child with Compassion, or sharing their love of Jesus with a friend. No one knows "what might have been" if these key people in their lives had not responded positively to the prompting of the Holy Spirit to get involved in the life of someone else. Thankfully, we don't have to ask "what might have been" for Karen, Melody, Annie, and Jinda. Each of us with first world "problems" have opportunities all the time to "do good" in the name of Jesus. Today, I want to remind us that these opportunities are a sweet grace given to us by the Father. We never know when they will become so much more than a personal decision for us. Sometimes, maybe far more often than we realize, they are opportunities to change the lives of others — like Karen, Melody, Annie, and Jinda — for the better. 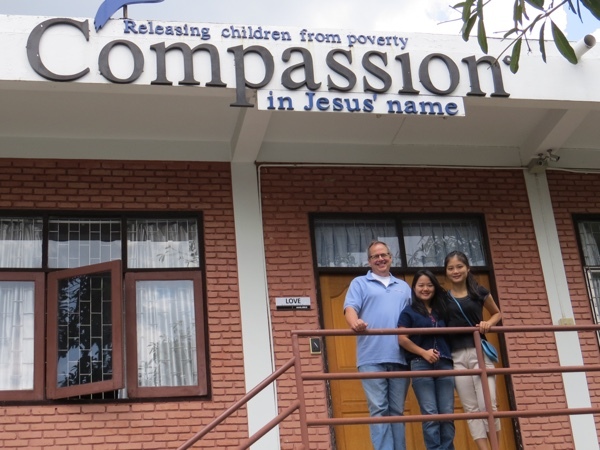 The first level of change can be to "release children from poverty in Jesus' name" — Compassion's mission statement. Along the way, however, many become children of God and part of our forever family, an eternal gift to them, to us, and to Jesus. Those of us at heartlight.org and verseoftheday.com have partnered with Compassion for several years. We are firm believers in what they do. We are nearing the 1,000 sponsor point in our relationship. We are hoping to get there before or during our trip in March. My partner Ben and I are going with Compassion to visit work sites and children in Brazil in about six weeks. One of the four children my wife and I sponsor is from Brazil and I hope to visit her. Melody, Karen, and our family are waiting for a Karenni child to sponsor in Thailand. We want you to know that sponsorship is a sweet grace of opportunity for both the child you sponsor and also for you and your family. If you are interested in sponsoring a child, just follow this link. The important thing is that when the Holy Spirit knocks on the door of your heart — whether it is to go on a mission trip, share your testimony, serve someone in need, or sponsor a child — you don't want to be left with the question of "what might have been"! Instead, you want to share the grace of opportunity and enjoy the grace of seeing someone become a part of God's forever family. "The Sweet Grace of Opportunity" by Phil Ware is licensed under a Creative Commons License. Heartlight encourages you to share this material with others in church bulletins, personal emails, and other non-commercial uses. Please see our Usage Guidelines for more information.